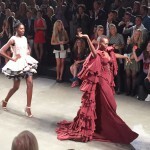 As FashionWeek Amsterdam is still going on, I can not just give you the full Catwalk report. 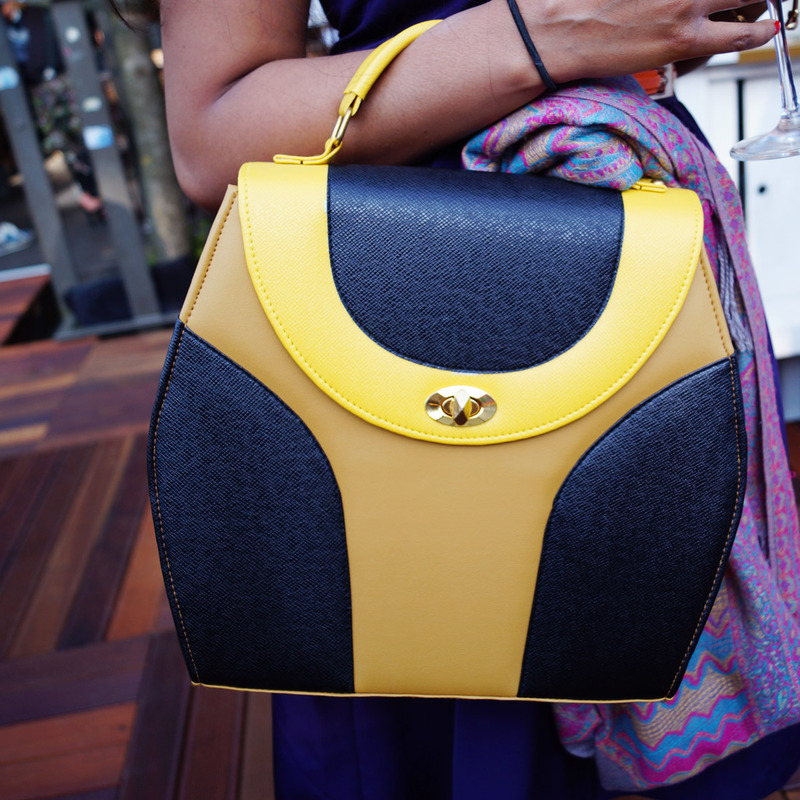 What I can do however is showing you the top 10 bags spotted at MBFWA so far. 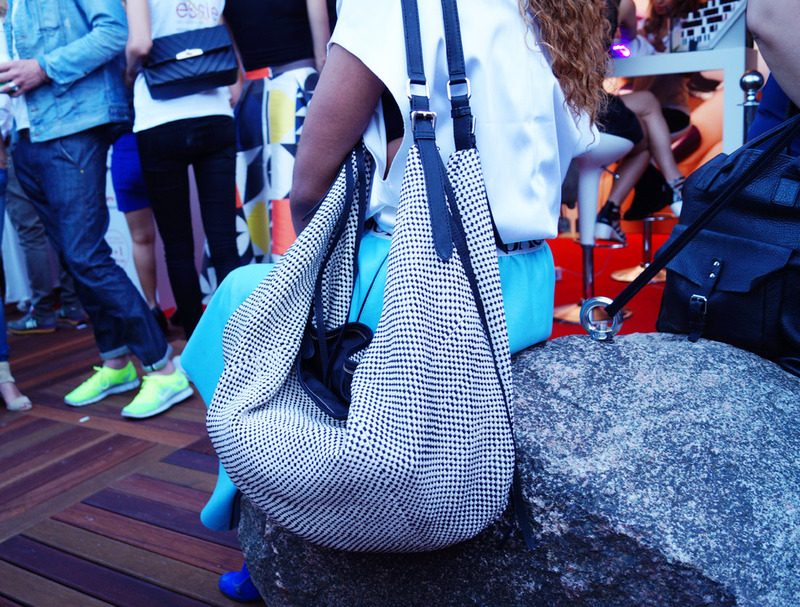 These women were carrying true arm-candy. 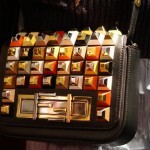 You will see that there are some real designer pieces as well as high street clutches. Some are very colorful, others shine in own simplicity. And there were also several new labels discovered on the grounds of the Westergasfabriek. 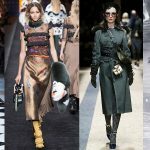 Just read on to see what the visiting fashionista’s were carrying at FashionWeek & don’t forget to comment who is carrying your favorite bag. 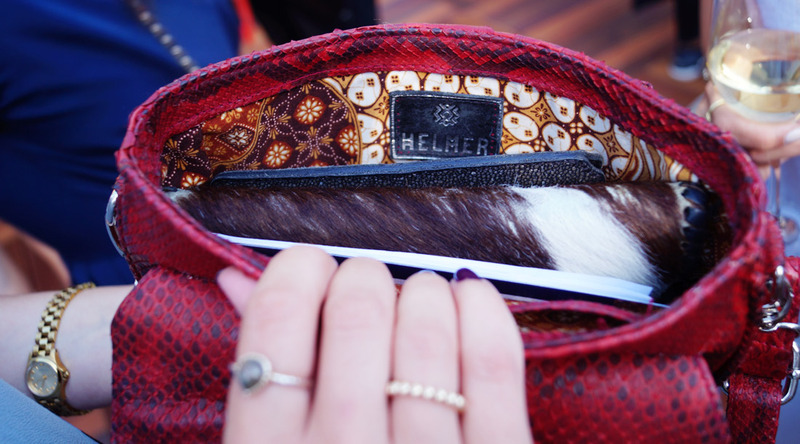 This Helmer bag was bought in London (where else!!) 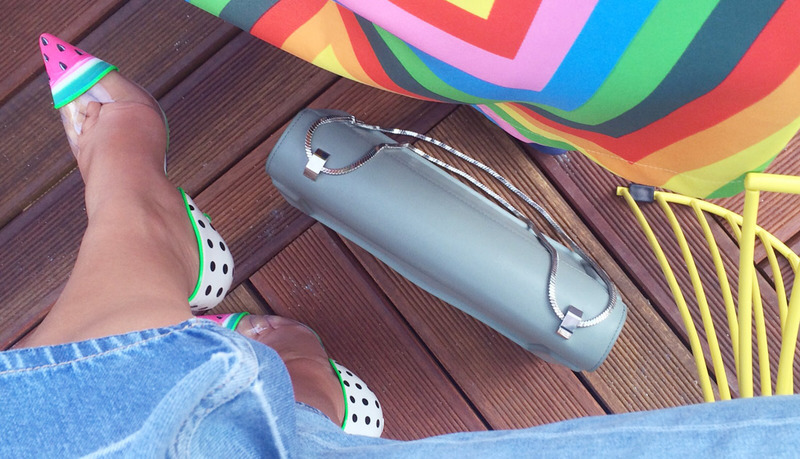 and fabulously worn by Maxime Kroon who works at Glamour. 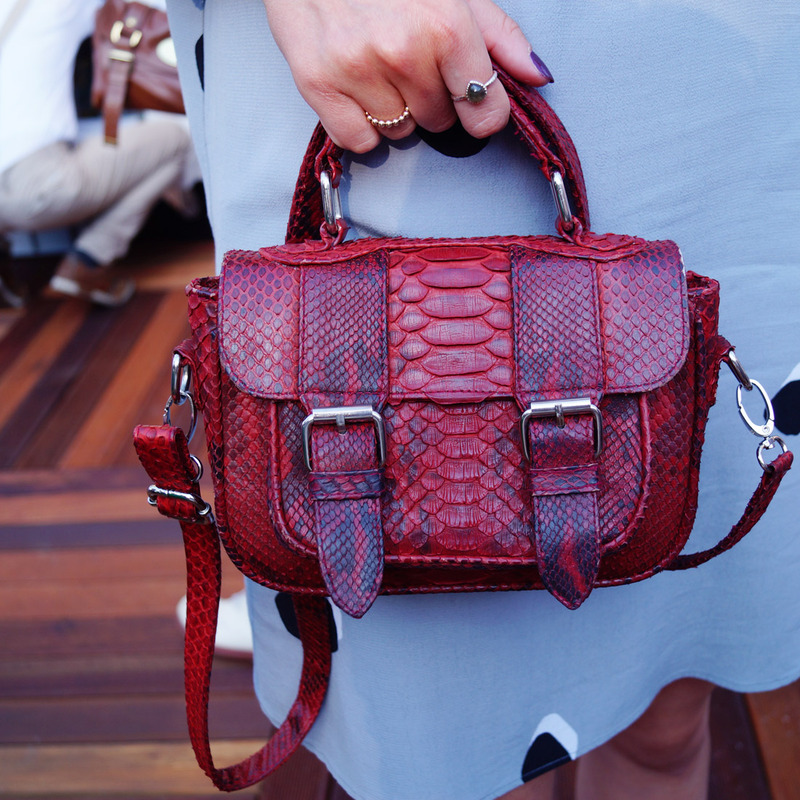 That dark red colored snake skin just makes my heart beats faster as well as the surprising & contrasting lining. 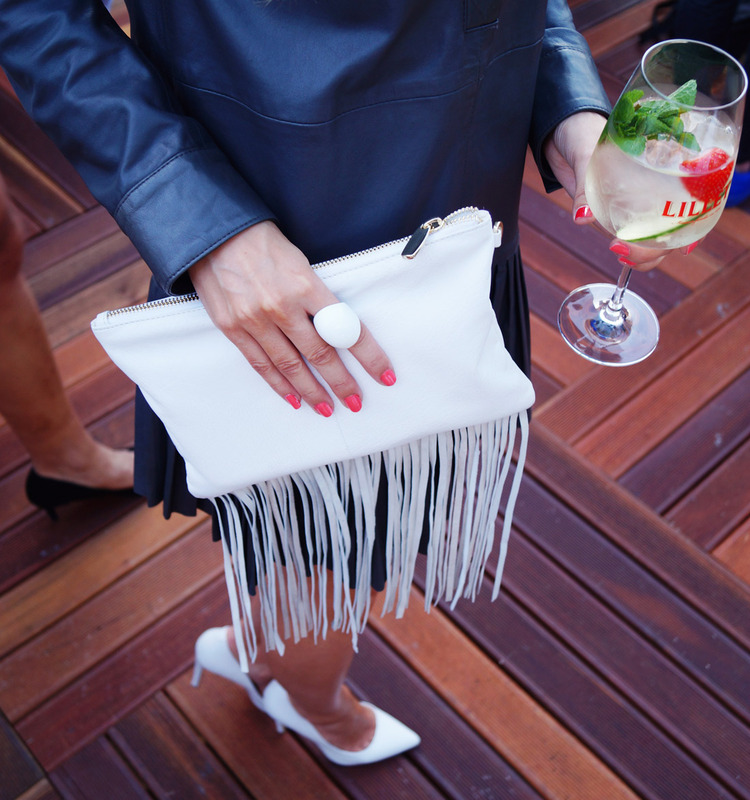 Sandra from More Style Than Fashion is a true shoe addict and completes her beautiful Tony Cohen dress with white killer heels & her white fringe clutch. Isabel Fernandez carried a timeless 3.1 Phillip Lim Soleil Chain Bag which she combined withflared jeans and her Sophia Webster Watermelon pumps! Oumayma Elboumeshouli from Desires by Us carried this Chloé Drew Bag featuring a feminine burgundy lambskin leather body with a blue suede front and distinctive gold-tone bar-clasp fastening. 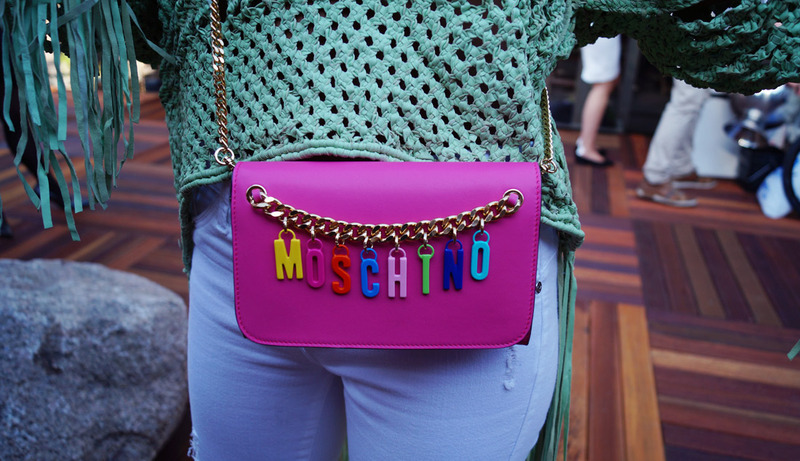 Fashion stylist Luana Antunes was carrying this perfect Moschino Logo Chain Shoulderbag made from pink calf leather and decorated with this multicoloured hanging logo chain. 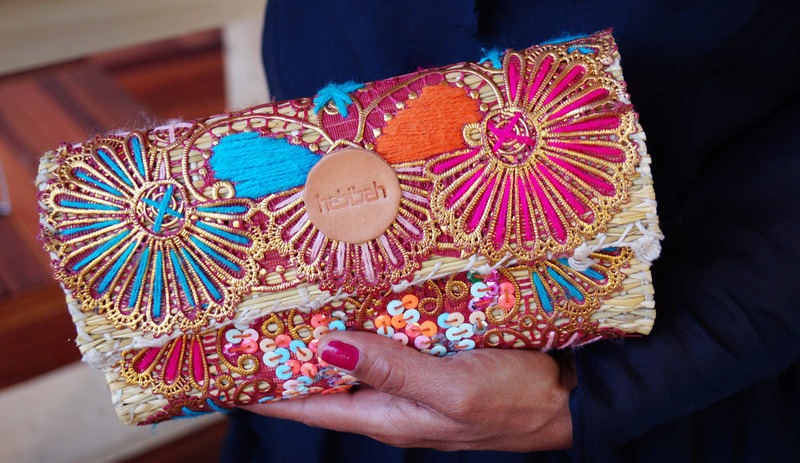 This is one of the new discovered labels, a Dutch brand called Habibah, that creates these beautiful colorful bags and clutches. 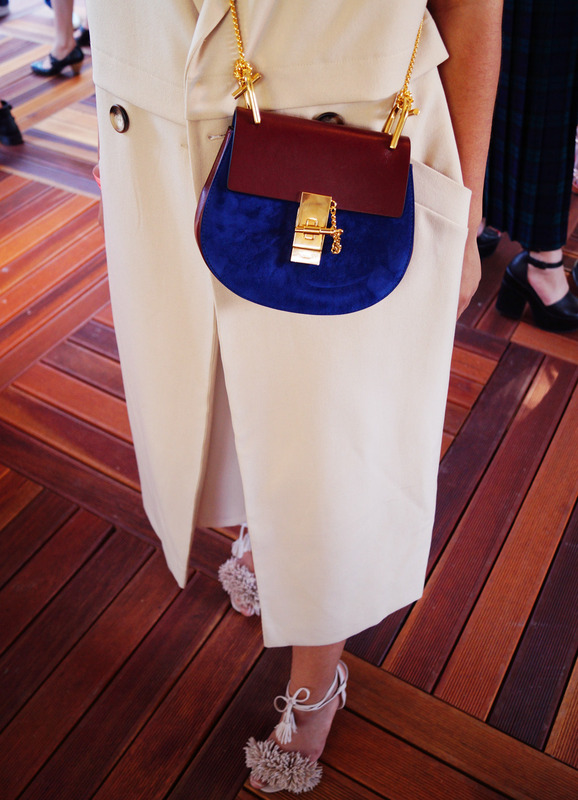 Love this Tony Cohen bag that is perfectly hanging around the shoulder of this fashionista. 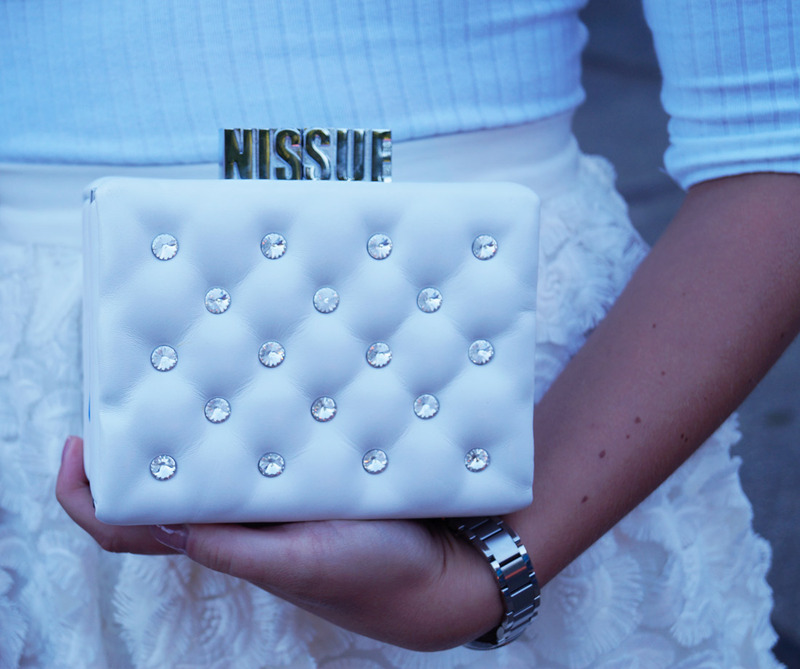 NISSUE is a new Dutch brand that offers limited bags made of the finest materials in classic designs with a modern artistic appearance and Kristel Anna had the honour to carry this bag to FashionWeek. 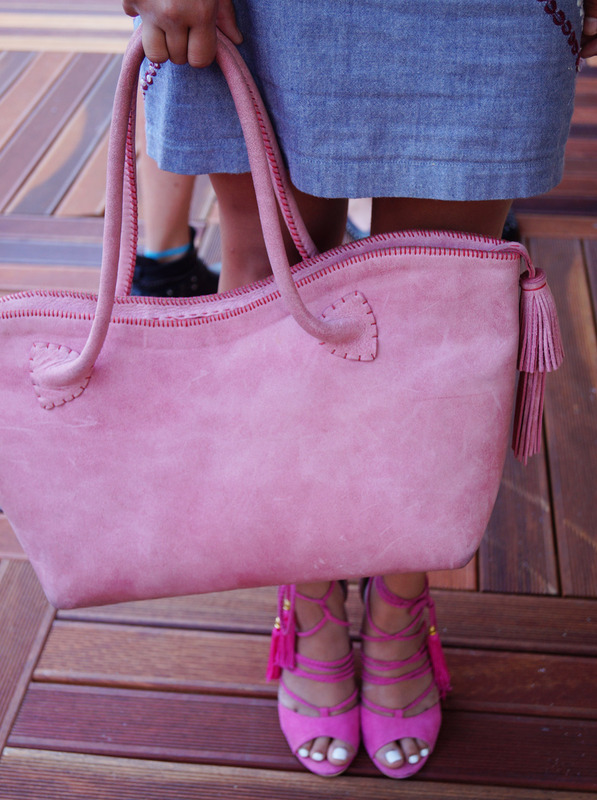 We love how this fashion blogger Zoë Akihary carried her pink tote by the – earlier mentioned – Dutch brand Habibah. P.s. 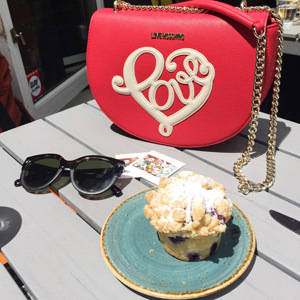 You might also like Top 12 bags at Fierce Fashion Festival & Bucket Bag!